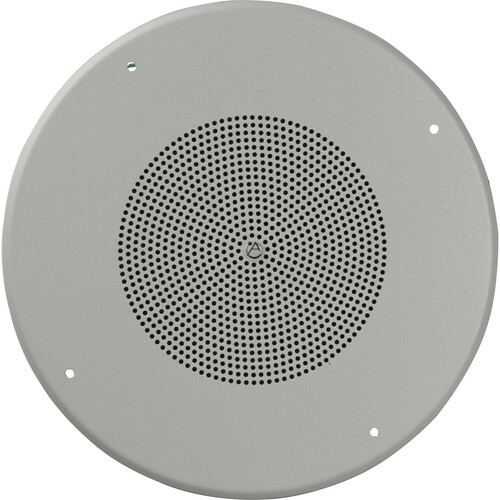 Atlas Sound's SD72W Dual Cone Ceiling Speaker with Baffle is a high-quality speaker/baffle combination for use in a variety of venues from restaurants to schools. The speaker used in the SD72W is very similar to the preceding C-Series speakers. The similarity in the sonic qualities ensures that contractors and designers who have worked with the Atlas Sound C-Series in the past will know exactly what to expect when they use the SD72W. Model SD72W is a dual cone, 25 watt 8" (205mm) loudspeaker with a 10oz. (260g) ceramic magnet. It includes a curvilinear, treated paper cone for lower harmonic distortion. The loudspeaker is also equipped with a full 1" diameter copper voice coil with a black anodized aluminum former for better power dissipation. Package includes factory installed 25/70.7V line matching transformer with tap selections ranging from .25 to 5 watts. Model SD72W operates within a frequency response range of 45Hz - 19kHz (nominal) with a sensitivity of 97dB and a dispersion angle of 105°. The SD72W includes a factory installed CRS baffle with concealed loudspeaker mounting studs and includes screw mount hardware. The SD72W baffle features standard mounting holes to accommodate the majority of Atlas Sound 8" tile bridges, mounting rings and enclosures. When specifying mounting hardware, be advised that the dimensions of the SD72W baffle match the Atlas Sound Model 62-8. The baffle finish is white powder coat epoxy. This high-performance speaker is a dual-cone, 25W 8" loudspeaker treated for low harmonic distortion with a wide-dispersion angle for excellent sound coverage. 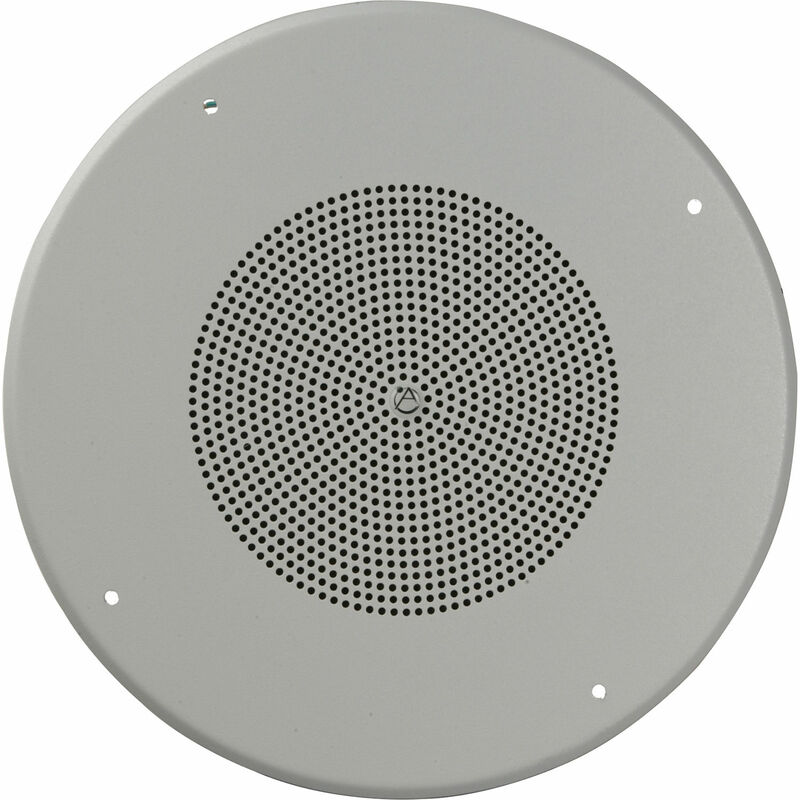 Included in this speaker package is a white powder-coat baffle with all necessary mounting hardware. For stocking and ordering convenience, all speakers are individually packaged. Box Dimensions (LxWxH) 14.1 x 14.0 x 3.6"
SD72W Dual Cone Ceiling Speaker with Baffle (White) is rated 5.0 out of 5 by 2. Rated 5 out of 5 by Macfiveo from Great quality design, product We installed 12 of these in the drop ceilings throughout the church. Very easy to work with. The packing was well planned, and they were easy to remove from the packing and mount. Fit and finish were superior. A great value, and perfect for our project.